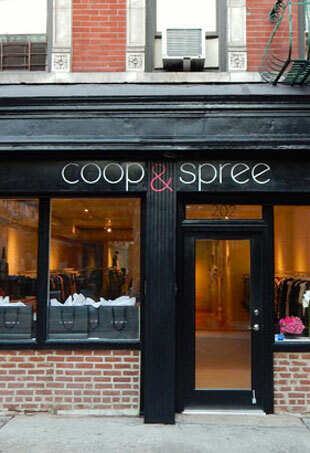 New store, Coop & Spree, opens on Elizabeth Street, and is named after two of the owner's loves in life. This store will make you want to redecorate your bedroom. West Hollywood's best-kept secret revealed! This week, the boutique girl takes you inside one of the coolest NYC boutiques, Owen. In this week's column, the boutique girl shops the one store you must visit during Coachella, The Fine Art of Design. The perfect balance of emerging and well established brands across designer and contemporary price points. In this week's column, the boutique girl shops skincare at the opening of Caudalie's first West Coast boutique. In this week's column, the boutique girl heads down to the beach to shop Z Collection. In this week's column, the boutique girl shops the pretty online party store. In this week's column, the boutique girl visits NYC to shop one of her favorite area retail destinations. The boutique girl explores Stacey Todd's laid-back West Hollywood location. In this week's column, the boutique girl travels across the pond to take you inside the largest Oscar de la Renta boutique. In this week's column, the boutique girl goes inside the Monique Lhuillier boutique, home to some of the most coveted wedding dresses. In this week's column, the boutique girl braves the cold to find the ultimate Chanel shop in New York City. In this week's column, the boutique girl takes you inside the well-known furniture store that is anything but what you would expect! In this week's column, the boutique girl heads to Soho to shop the Saint Laurent store.